Indonesian Earthquake Pressure Pulse (and/or Electromagnetic Effect) Traveled over 250,000 Kilometers per Hour to Hawaii. ADDER: It occured to me after the first publication, and after studying wave and shock wave propogation, that NO COMBINATION of materials and wave frequency(aka speed) could account for this trigger speed. And someone pointed out "how can you prove they are related". Exactly the point, intuition, and prior knowledge of the shutdown of the Hawaii volcano, immediately after the August 5th, 6.9 EQ in Indonesia. See article. 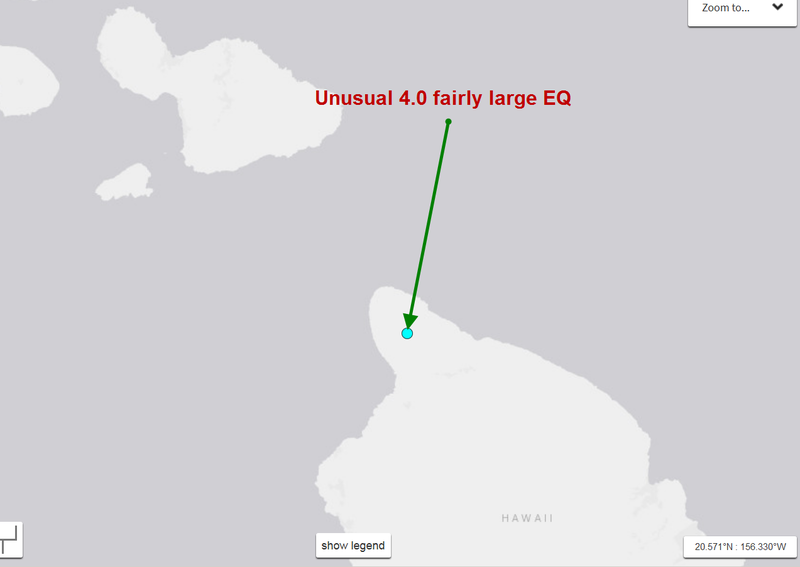 Just 2 minutes and 22 seconds after the Big 6.5 EQ in Indonesia, which triggered a local tsunami, a 4.0 was triggered in an unusual spot in Hawaii. It is amazing how quickly these things can react. The Excel calculation is below. Now one could say....its just a coincidence. 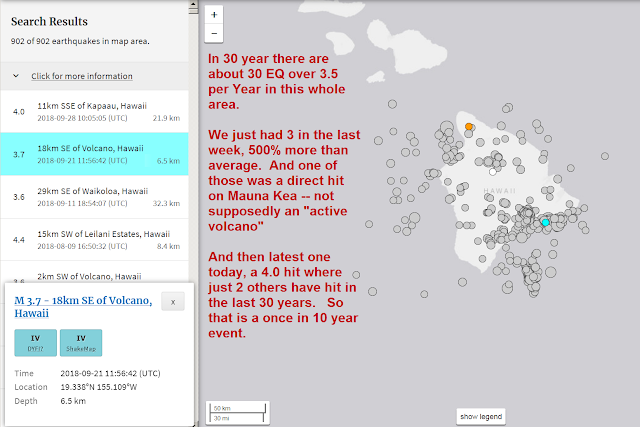 But there have only been 3 in this area of the Big Island in 30 years, so its very unusual. I'll bet 1000 to 1 this is not a coincidence. This is about 10 times faster than the fastest earthquake, according to "Science"
10 times faster than "science" says it should happen. It get more complicated than the simple formula below, along with densities and more. That is important in making any serious jumps in understanding our planet and reacting to it.